The release last week of the nominations for the 88th annual Academy Awards stirred an immediate backlash due to the lily-white composition of the best actor and best supporting actor categories. That’s right, for the second year in a row the Academy of Motion Picture Arts and Sciences’ 6,000-plus voting members failed to recognize any people of color or ethnic diversity for their acting abilities. You would think that the crackers—more than 90 percent of the Academy members are white— would have learned from last year’s backlash and made an effort to be more inclusive. Last year’s slate of 20 white acting nominees marked the first time since 1998 that the nominees didn’t include at least one racially or ethnically diverse actor. This despite the critically acclaimed acting in the Martin Luther King Jr. biopic “Selma.” And now the Academy voters have done it again, and revived the “Oscars So White!” backlash. But are the Academy’s crackers biased or was there just a lack of good racial or ethnic talent? Critics are pointing to “Straight Outa Compton,” “Beasts of No Nation,” and “Concussion,” as being filled with black talent that was ignored by Academy voters. Of course, the review of “talent” is highly subjective and many people might argue that these movies, though quite good, are not representative of Oscar-worthy talent. Academy President Cheryl Boone Isaacs, who happens to be a woman of color, said, “Of course I am disappointed, but this is not to take away the greatness [of the films nominated].” Nevertheless, she added, the Academy’s efforts to diversify are moving too slowly. For the record as part of its efforts to become more inclusive in the wake of last year’s backlash, the Academy invited “Selma” star David Oyelowo, “Concussion” acrtress Gugu Mbatha-Raw, and “Straight Outta Compton” director F. Gary Gray to join its ranks. This obviously isn’t going to tip the scales enough, and will probably only alleviate the apparent Academy bias against blacks. What of other minority groups? We don’t see them represented with any nominations. Are any of the acting nominees Asian? How about Hispanic? Disabled? Gay? Native American? Trans? Obese? The answer appears to be “no.” And if you are appalled by this blatant lack of diversity in the Academy Awards nominees, then no doubt you would support a mandated affirmative action program for the Academy’s nomination process. And not only would this ensure the inclusiveness of all marginalized minority groups, but it would force Hollywood to make movies more reflective of the actual world we live in. Here is what the slate of “best” and “supporting” actors would be comprised of under such an affirmative action nominating program (with nominations based to the extent possible upon the actual percentages of subgroups within the at-large U.S. population). 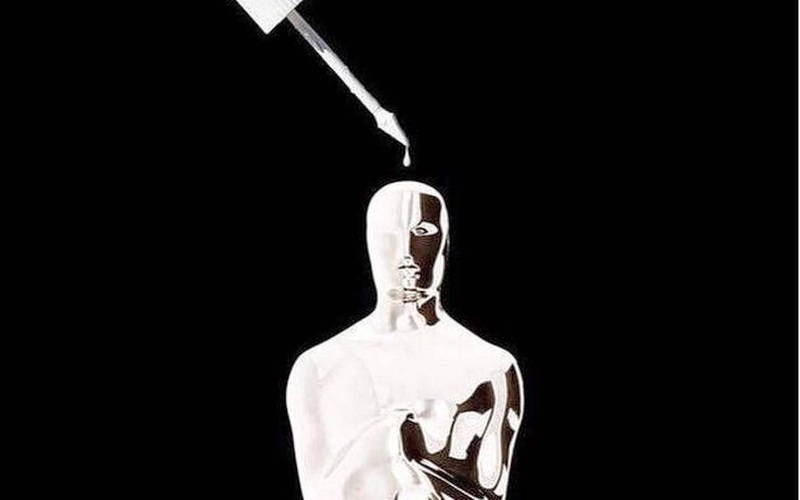 Of the nominees seven must be obese, four must be physically or mentally disabled, and one must be gay (every 22 years the gay actor can be substituted for a transgendered actor). So, what do you think? Should we force Hollywood to be more realistic by holding it accountable to affirmative action in its awards nominations? Hash-It-Out! Originally published Jan. 15 in Hash It Out!